Lauretta's mother takes her to buy a new wheelchair, but Lauretta isn't satisfied with a regular five-speed or ten-speed model. No, she insists on the 92-speed, black, silver, and red dirt-bike wheelchair. 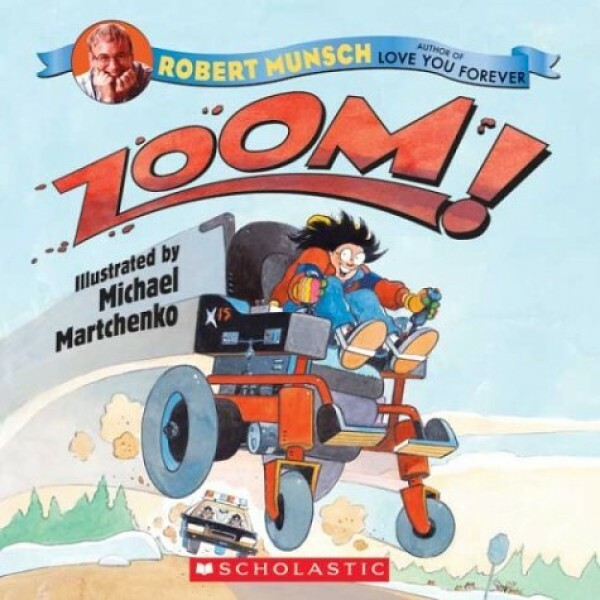 When she gets a speeding ticket during a one-day tryout, her parents insist that the chair be returned to the store...until Lauretta's older brother has an accident and only one person can whisk him to the hospital on time -- Lauretta, in her amazing wheelchair! For more stories of Mighty Girls who don't let disabilities hold them back, visit our People with Disabilities section.